In 2006, a church team went with BMS to visit Delhi, India and specifically the Anusaran school, run by John and Abha David. Since then ever year (apart from 2012), a team from the church has visited each September. In 2012 Belle Vue hosted John and Abha and their family in Southend for two weeks in May/June. 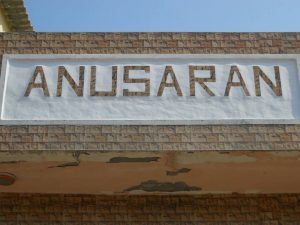 The Anusaran school provides educational opportunities for boys and girls in a rural area on the outskirts of Delhi. More than just a school, it offers a safe space for friendship, fun and the possibility of exploring the Christian faith. Our friendship and partnership with the Anusaran school and its work engages in something global. We seek to support the work both financially, pastorally and in being present through visiting. Anusaran have their website, which you can visit here. In 2016 we’re sending 4 of our older young people and two others to visit the school in July.